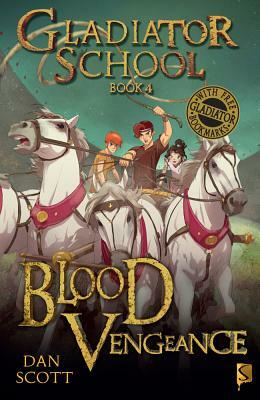 Blood Vengeance is the fourth title in Gladiator School, a series of novels set in ancient Rome, a rich and textured world of heated battles, fierce loyalty, and even fiercer rivalry. Finally reunited with his father Aquila, Lucius is studying hard in hopes of following in his footsteps and becoming a senator. Meanwhile, Lucius's brother, famous ex-gladiator Quintus Felix, continues to risk his life in chariot races at the Circus Maximus. But all is not well: a very disturbing premonition has been revealed to Aquila--and this prophecy could spell bad news for the Emperor, and bloody vengeance for Lucius . . .
Dan Scott was born in Surrey, England. Growing up, he became interested in ancient Rome, and his love of historical fiction provided plenty of inspiration for the adventure stories he began to write as a child. Eventually, his characters and stories developed into the action-packed Gladiator School series.